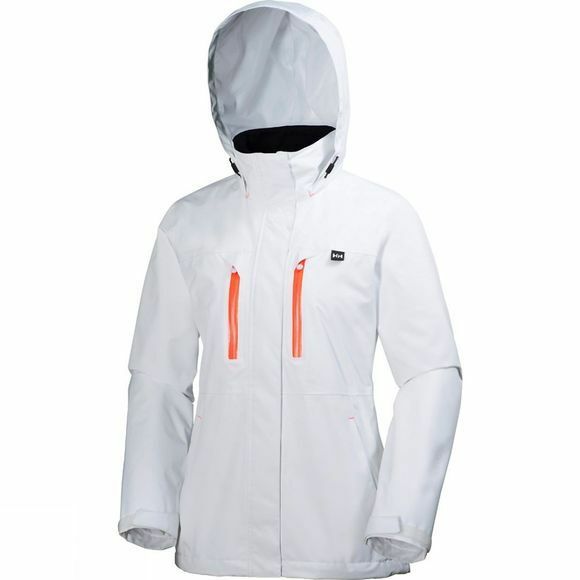 The Women's Bykle Jacket form Helly Hansen is a waterproof shell that has been designed with the use of a backpack in mind. It has double chest pockets and the hand pockets are angled in such a way that you can still use them even if your rucksack hip belt is fastened in place. The pockets also have water resistant zips to give a little extra protection to your valuables. The hood is removable and packable should you find that you dont need it while the cuffs and the bottom hem are adjustable to help you get the right fit from your jacket every time. Founded in Norway in 1877, Helly Hansen continues to develop professional-grade apparel that helps people stay and feel alive. Through insights drawn from living and working in the world’s harshest environments, the company has developed a long list of first-to-market innovations, including the first supple waterproof fabrics almost 140 years ago. Helly Hansen’s outerwear, base layers, sportswear and footwear are sold in more than 40 countries and trusted by outdoor professionals and enthusiasts around the world.